The interior design or interior architecture is about working on the relationship of people and their environment. It is an essential part of our daily lives and affects the way we live, work, play, think... Create comfortable houses, attractive and functional public spaces, arouse emotions in the user, that is interior design. The interior designer has evolved a lot over time, becoming the key piece in the development of contemporary living spaces. The design of spaces for habitat, study, commercial spaces or even health, cannot be currently understood without an interior designer. At ESADA we offer the Official Degree in BA Interior Design, it has been awarded by the Ministry of Education. Our programmes are within the European Higher Education Area (EHEA) and therefore they are internationally recognized. If you dream about creating meeting spaces that can respond to contemporary culture. 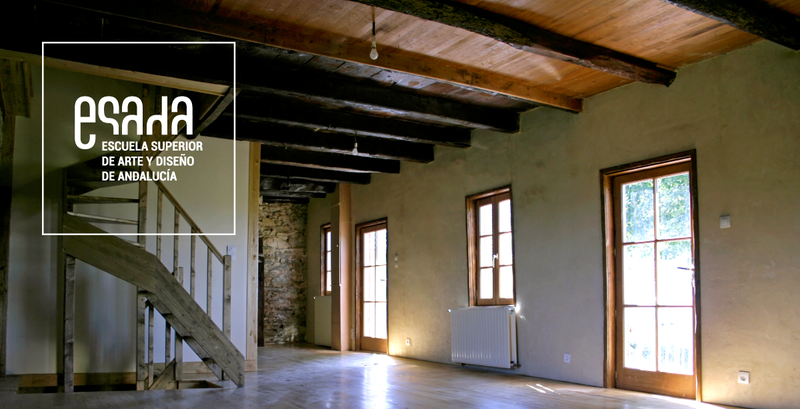 Spaces that can anticipate changes and dialogue with our past, this is your profession! Studying Interior Design will allow you to acquire a large amount of skills to deal with the different disciplines that define your work (architecture, graphic design, decorative arts, furniture design and lighting, textiles...). All these skills are learned “by doing” with methodologies that respond to what students will really need for their professional development. The main aim of ESADA is to guide the students in their training process until they become professionals capable of critical thinking, effective communicators, and with the ability to work in a team. All these goals are achieved thanks to a teaching staff with a great deal of professional experience and an innovative methodology based on Project-Based Learning (PBL) that allows to put into practices all the skills needed through integrated professional projects from the first year. The projects will increase in complexity over the years, and are strategically designed to address the different aspects of interior design. From the first year, students will have the opportunity to participate in international design contests, where ESADA students have won several prizes that certifies the quality of their projects. At ESADA, the formation is complemented by conferences of relevant figures within the national and international panorama of interior design. So if you still do not know where to study interior design ESADA is your choice! The Higher Studies of Design have as a main aim the qualified training of professionals in the field of design, capable of understanding, defining and optimizing the products and services of the design in its different fields. These programmes are prepared to master the scientific, humanistic, technological and artistic knowledge and the methods and procedures associated with them. They will also generate values of artistic, cultural, social and environmental significance, in response to the social and technological changes that are taking place. Generate and materialize functional, formal and technical solutions that allow the best use of interior spaces. Conceive and develop interior design projects with the criteria to improve the quality, use and consumption of the productions. Manage and certify the realization of interior projects. Analyze, adapt and produce information related to the materialization of projects. To solve the aesthetic, functional, technical and constructive problems that arise during the development and execution of the project. Know the characteristics, physical and chemical properties as well as behaviour of materials used in interior design. Know the most common manufacturing, production and manufacturing processes of the different sectors related to interior design. Adapt the methodology and proposals to the technological and industrial evolution of the sector. To know the technological resources of communication and its applications to the interior design. Mastering the specific digital technology related to the development and execution of interior design projects. Know the economic, social, cultural and historical context in which interior design is developed. Know the economic and organizational framework in which the business of interior design is framed. Understand the legal and regulatory framework that regulates professional activity, occupational health and safety, and intellectual and industrial property rights. Reflect on the positive social influence of design, assess its impact on improving the quality of life and the environment and its capacity to generate identity, innovation and quality in production. The profile of the graduates corresponds to that of a qualified professional capable of conceiving, substantiating and documenting a creative process through mastery of the theoretical and practical principles of design and of the project methodology. Is a professional able to integrate the different languages, as well as the techniques and technologies in the correct materialization of messages, environments and products. We must consider the Interior Designer as the professional that currently requires the market, with a technical-artistic profile. As students of an official degree, you have the right to apply for the scholarships of the Ministry of Education for post-compulsory studies, as well as those of the Regional Ministry of Education (ADRIANO). In addition, as a novelty, this year ESADA offers own scholarships to academic performance, which will be a bonus of 50% of the amount of tuition during the four years of training, for the best high school records.